50+ modules, infinite possibilities Boson platform has more than 50 different modules, including sensors, actuators, logic gates and more. Modules under different categories are intuitively coded in four colors. that compatible with Lego blocks and screws. Python and C programming languages. simple and easy just as other Boson modules. data to an IoT server. 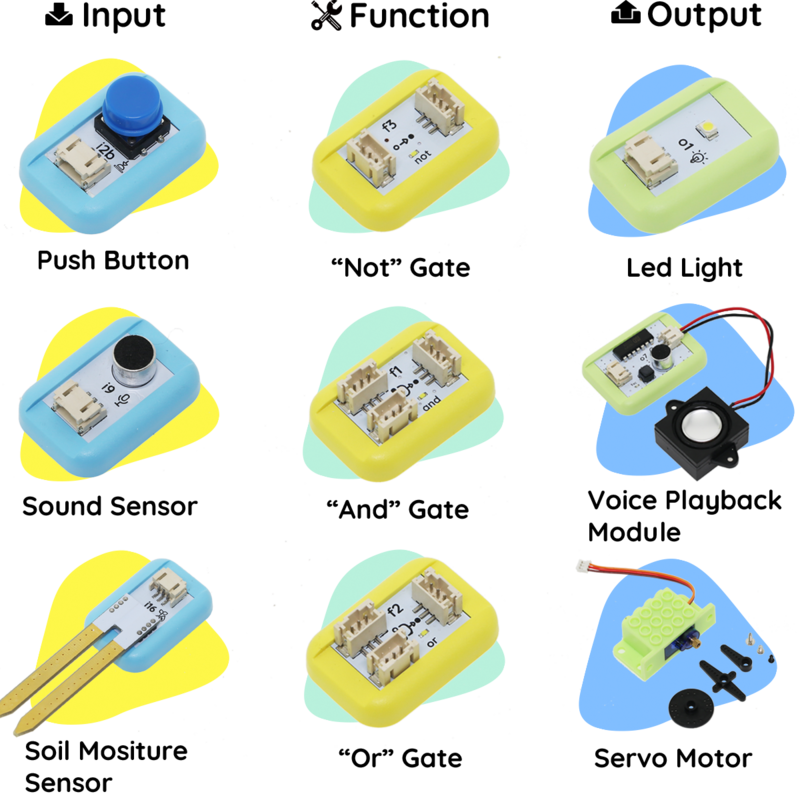 Boson Kit for micro:bit Build your own programmable project with micro:bit! Boson Inventor Kit Learn electronics, logics, and robotics. Create your own invention!